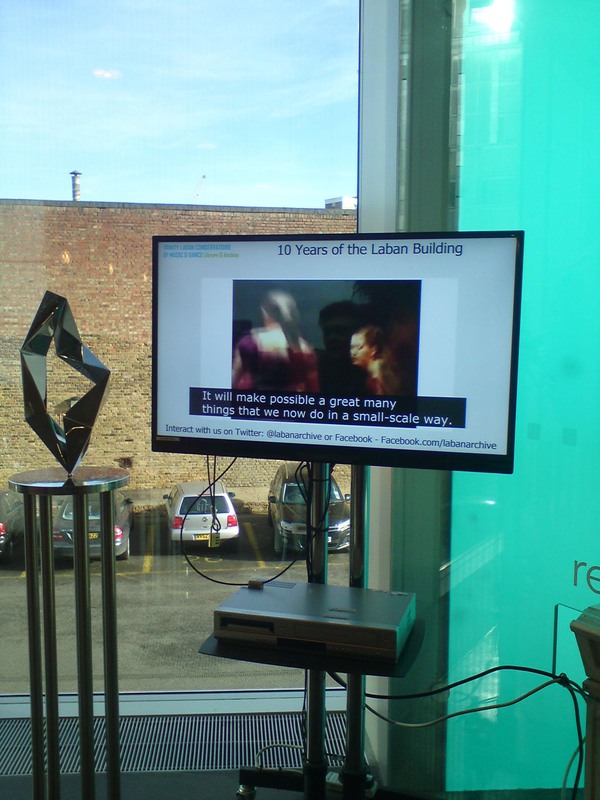 Time is nearly up to catch the Laban Building at Creekside’s 10th anniversary exhibition. So if you think you are going to miss it, have at look at what you missed! Ian Peppiatt, our amazing IT/AV advisor, has curated a multimedia show of clips, photographs and interviews tracing the construction and launch of our beautiful building designed by Herzog & de Meuron. 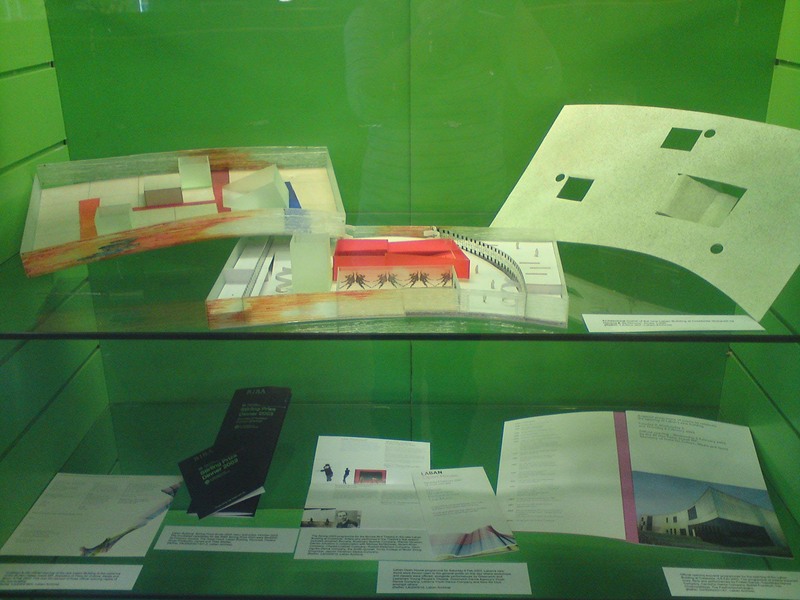 And we are displaying some objects from the archive including an architectural model of the building which is remarkably similar to the actual full-scale one! The exhibition is currently on display outside the Laban Library and Archive in the Laban Building at Creekside. It comes down on Wed 20 November so hurry if you want to see it!